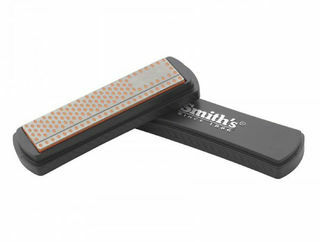 Features: 5" x ½" - with a slim black handle. The JewelStik Diamond Sharpener is the original oval shaped, two-sided diamond sharpener that Chefs have been using for over 30 years. These sharpeners are offered in a variety of lengths and widths to help you determine the best for your application. The rule of thumb is your sharpener should be at least as long as your blade. 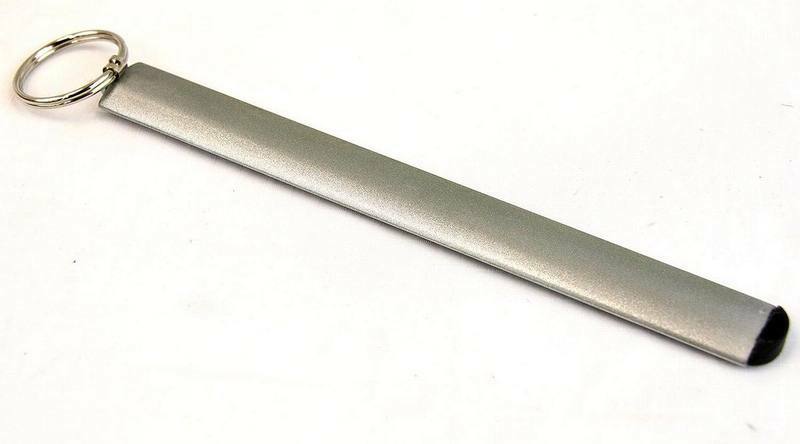 The oval shaped steel helps you hold a good angle (generally from 18 to 22 degrees) on the edge of your knife. The diamond surface is on both sides of the sharpener. Completely manufactured, assembled and packaged in the USA. Hewlett stands behind their products and offers a lifetime guarantee. Features: 12" x ¾" - with a traditional black handle. 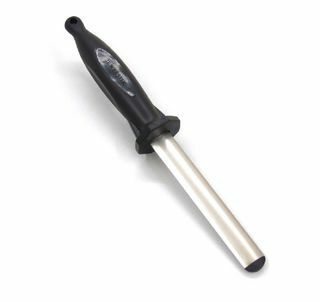 The JewelStik Diamond Sharpener is the original oval shaped, two-sided diamond sharpener that Chefs have been using for over 30 years. 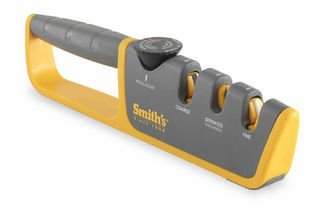 These sharpeners are offered in a variety of lengths and widths to help you determine the best for your application. The rule of thumb is your sharpener should be at least as long as your blade. The oval shaped steel helps you hold a good angle (generally from 18 to 22 degrees) on the edge of your knife. The diamond surface is on both sides of the sharpener. Completely manufactured, assembled and packaged in the USA. Hewlett stands behind their products and offers a lifetime guarantee. 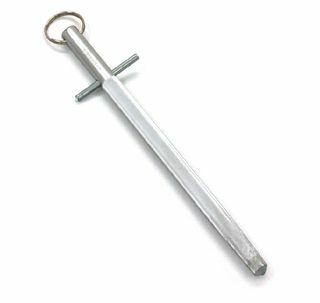 Features: 5" x ½" - with the traditional black handle. 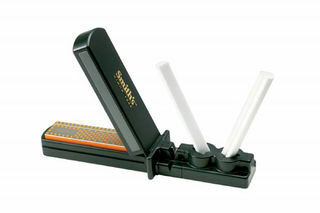 The JewelStik Diamond Sharpener is the original oval shaped, two-sided diamond sharpener that Chefs have been using for over 30 years. These sharpeners are offered in a variety of lengths and widths to help you determine the best for your application. 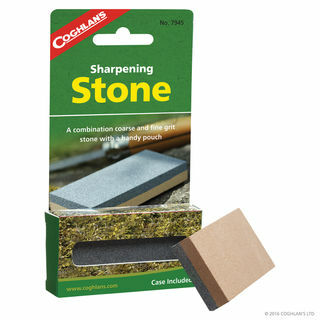 The rule of thumb is your sharpener should be at least as long as your blade. The oval shaped steel helps you hold a good angle (generally from 18 to 22 degrees) on the edge of your knife. The diamond surface is on both sides of the sharpener. Completely manufactured, assembled and packaged in the USA. Hewlett stands behind their products and offers a lifetime guarantee. 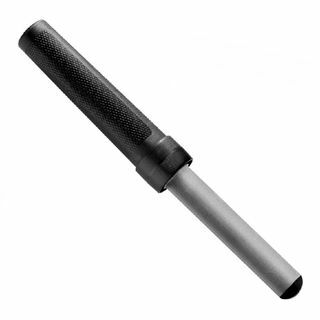 Features: 10" x ¾" - with a traditional black handle. 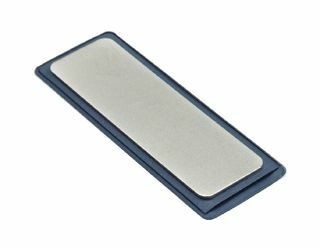 The JewelStik Diamond Sharpener is the original oval shaped, two-sided diamond sharpener that Chefs have been using for over 30 years. These sharpeners are offered in a variety of lengths and widths to help you determine the best for your application. The rule of thumb is your sharpener should be at least as long as your blade. The oval shaped steel helps you hold a good angle (generally from 18 to 22 degrees) on the edge of your knife. The diamond surface is on both sides of the sharpener. Completely manufactured, assembled and packaged in the USA. Hewlett stands behind their products and offers a lifetime guarantee. 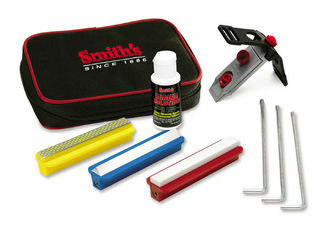 Features: JewelStik Diamond Pocket Hone, flat steel hone, 600 medium grit. This marvelous wee tool sharpens both your knives and your scissors quick! You will never have to cut paper or cardboard with blunt scissors ever again. 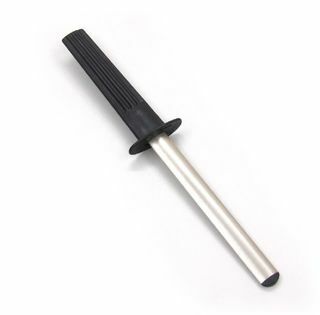 When you need to sharpen that knife in the kitchen or workshop, just get hold of your Knife & Scissor Sharpening Tool and bingo instant sharpness again. These are very simple to use with easy to follow instructions and diagrams included. Knives 1. 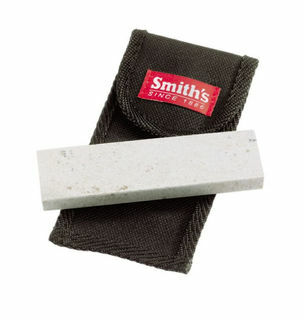 Place the knife on a solid flat surface with the cutting edge facing up. 2. 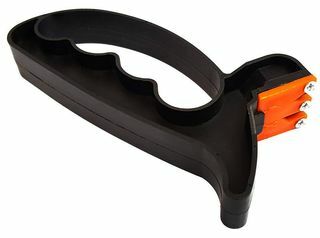 Position the head of the sharpener at a 90 degree angle to the knifes cutting edge. 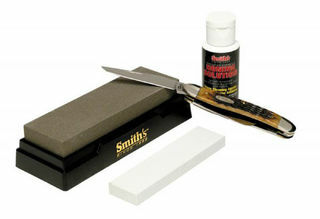 While holding the knife with one hand and the sharpener in the other, draw the sharpener across the blade from the heal to the point while lightly applying downward pressure. 3. Repeat the process 3 pr 4 times or until your knife is sharp. Scissors 1. For right-handed scissors begin by holding the hand with the words "Right Handed Scissors" facing you. Next place the flat base at the end of the handle on a solid flat surface. 2. Insert scissors blades as far as possible through the slots. 3. 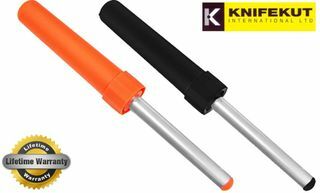 Close scissors on the sharpening rod and then pull the scissor through the slots while trying to keep the blades closed. Repeat this process at least 3 or 4 times. If you prefer you can push scissors through unit instead of pulling. 4. To sharpen left-handed scissors hold head of sharpener in your right hand with the words "Left-Handed Scissors" facing you and then repeat steps 2 & 3. 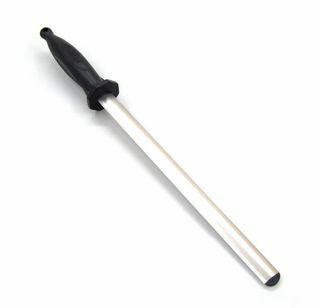 The "Floating sharpening rod that conforms to the exact angle of your scissors. These work on both left and right handed scissors. Features: 10" x ½" - with the traditional black handle. 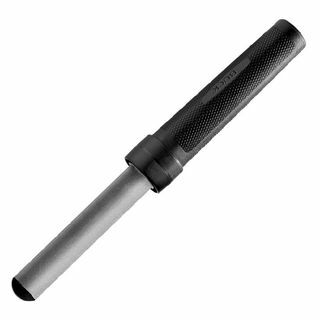 The JewelStik Diamond Sharpener is the original oval shaped, two-sided diamond sharpener that Chefs have been using for over 30 years. 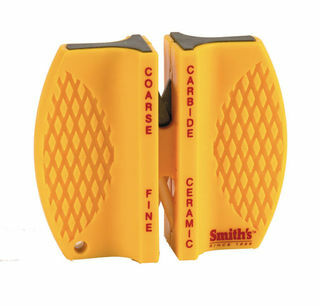 These sharpeners are offered in a variety of lengths and widths to help you determine the best for your application. 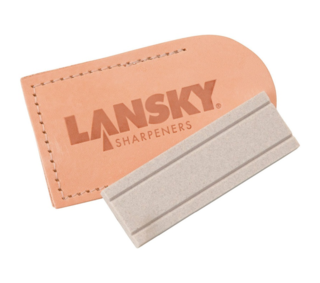 The rule of thumb is your sharpener should be at least as long as your blade. The oval shaped steel helps you hold a good angle (generally from 18 to 22 degrees) on the edge of your knife. The diamond surface is on both sides of the sharpener. Completely manufactured, assembled and packaged in the USA. Hewlett stands behind their products and offers a lifetime guarantee. Features: The Original Sportsman FlipStik! The Hewlett FlipStik is the most handy item. You'll want to keep one in your tackle box, your tool box, in the trunk of your car, on the dashboard of your truck. We recommend this tool goes everywhere you go. Of course, made with the same integrity our entire line is made with, the FlipStik is more compact. 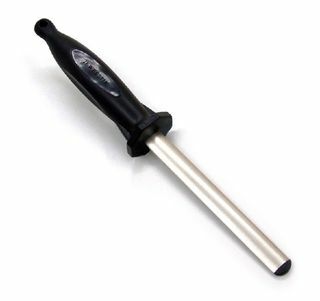 It is only 4 inches in length when closed, but when you turn the cap and attach it to the bottom, it now becomes the handle. Now your sharpener is 9 inches in length. 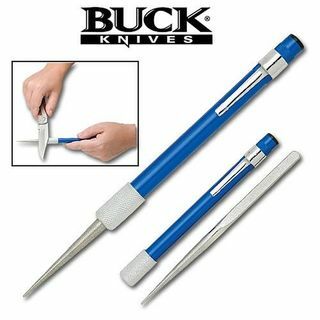 A nice tool to sharpen your pocket knives while at work, your boning knives while fishing, or your skinning knvies while hunting. 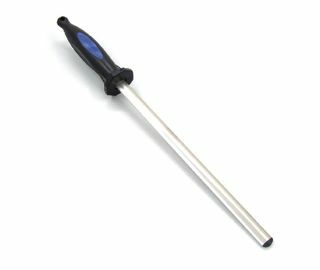 This item is most popular with workers that are dealing with cutting wire, carpet, boxes, or rope at their jobs all day. Of course, a sharp knife makes for an easier job. 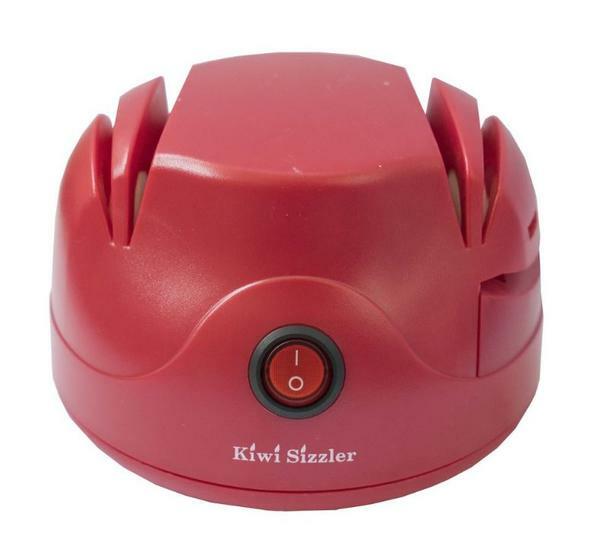 Completely manufactured, assembled and packaged in the USA. Hewlett stands behind their products and offers a lifetime guarantee. 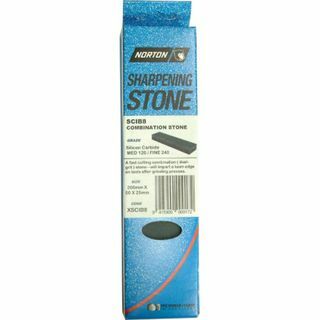 Sharpening surface is 4" x ½"
Features: 5" x ¾" - with a traditional black handle. The JewelStik Diamond Sharpener is the original oval shaped, two-sided diamond sharpener that Chefs have been using for over 30 years. 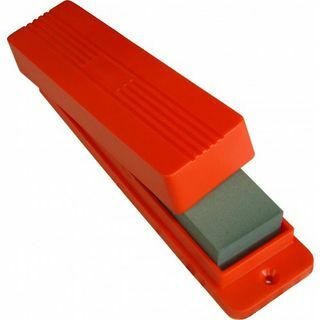 These sharpeners are offered in a variety of lengths and widths to help you determine the best for your application. The rule of thumb is your sharpener should be at least as long as your blade. The oval shaped steel helps you hold a good angle (generally from 18 to 22 degrees) on the edge of your knife. The diamond surface is on both sides of the sharpener. Completely manufactured, assembled and packaged in the USA. Hewlett stands behind their products and offers a lifetime guarantee.